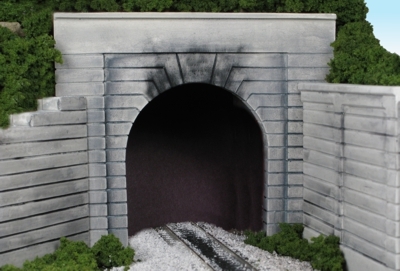 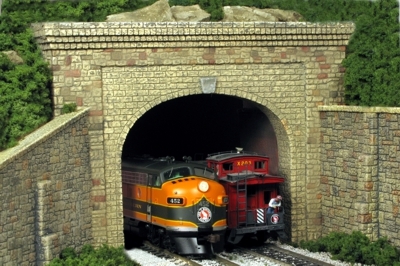 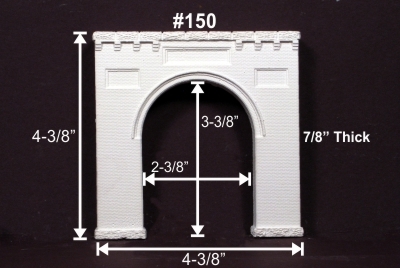 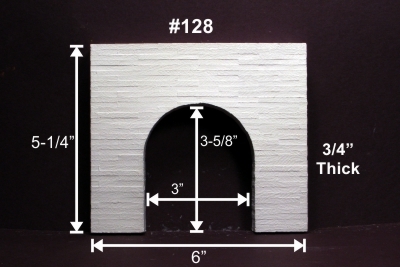 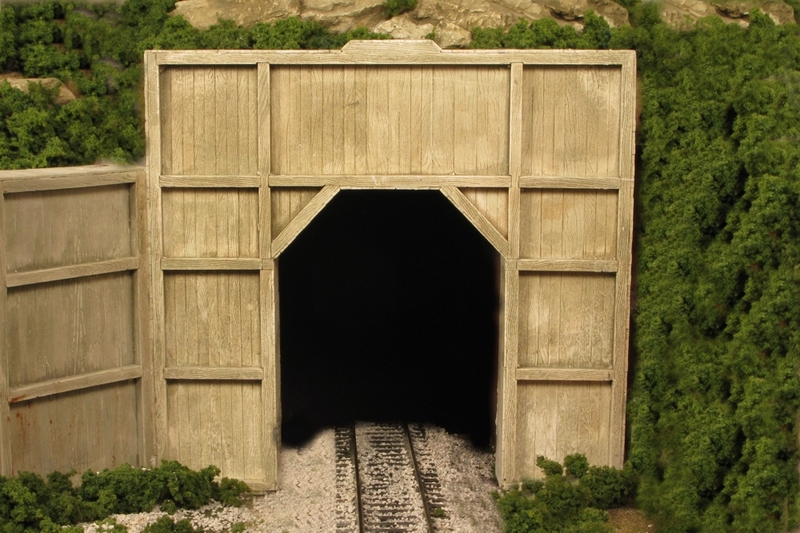 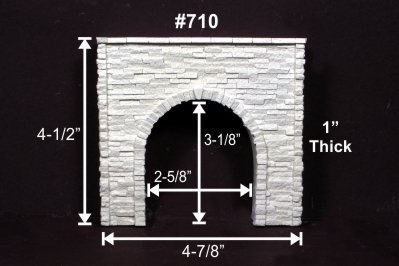 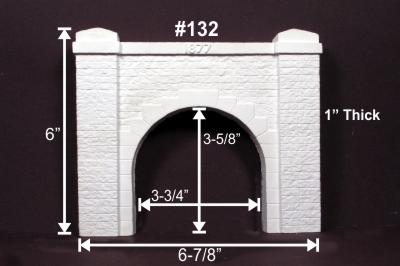 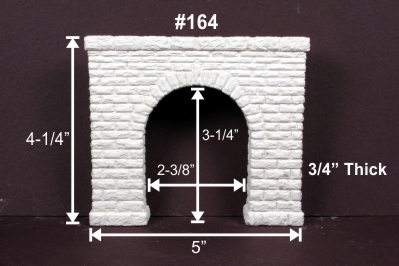 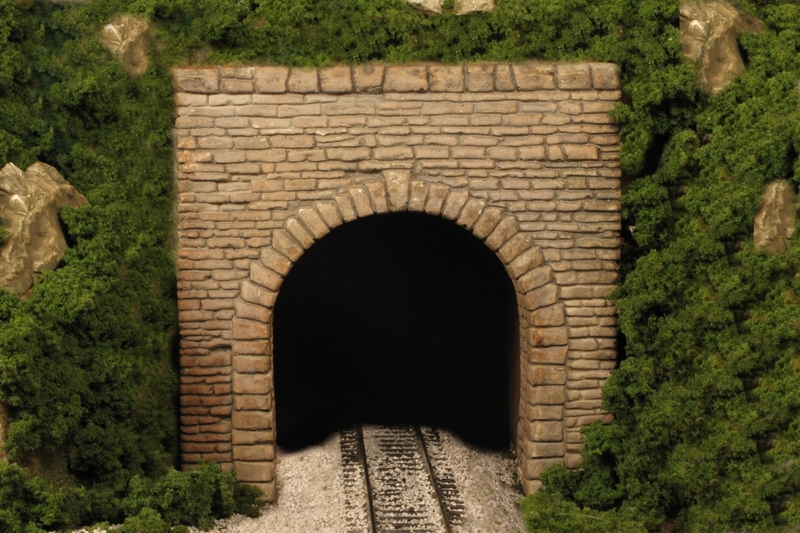 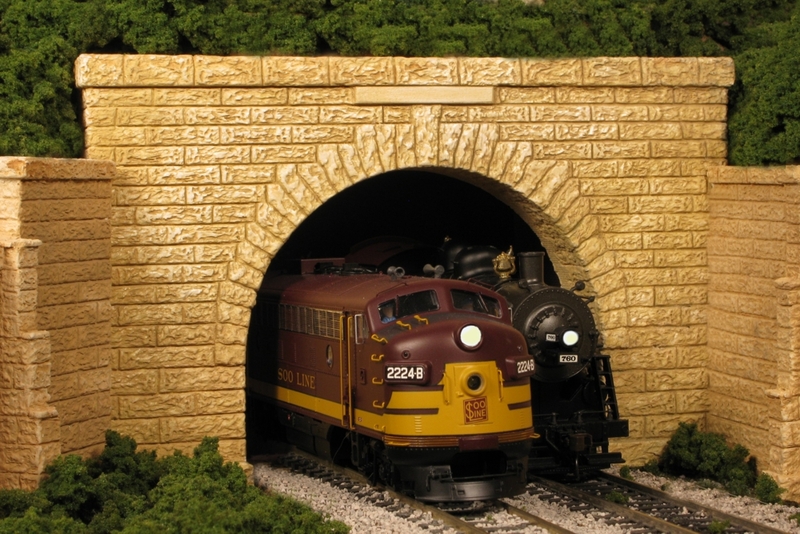 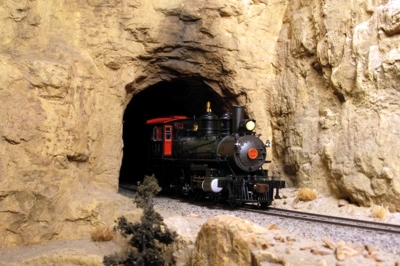 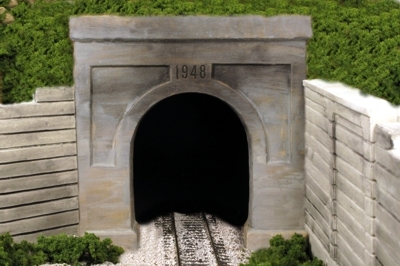 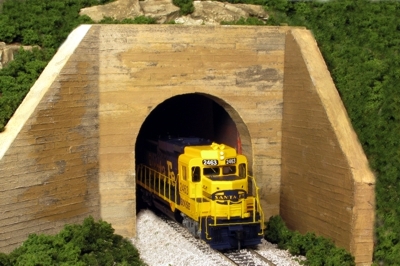 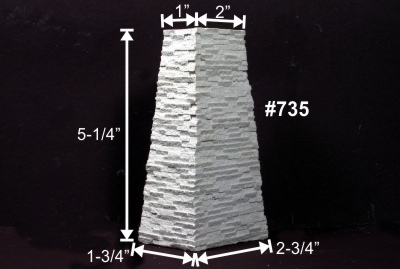 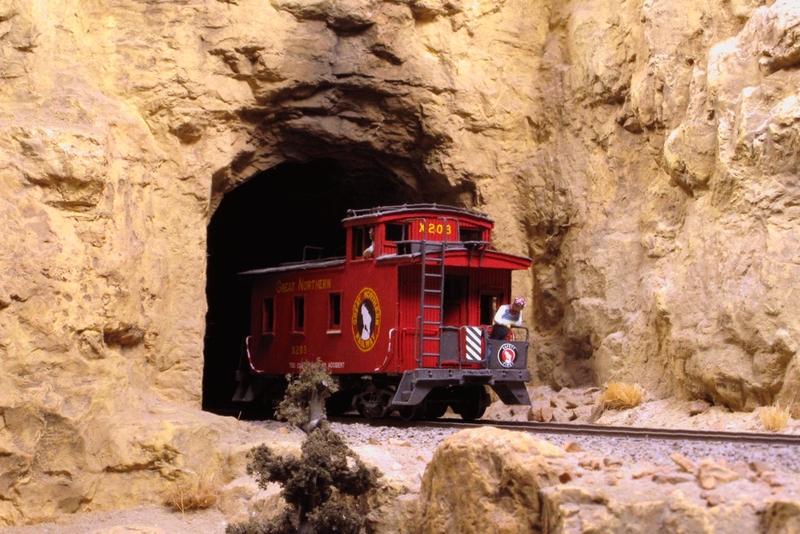 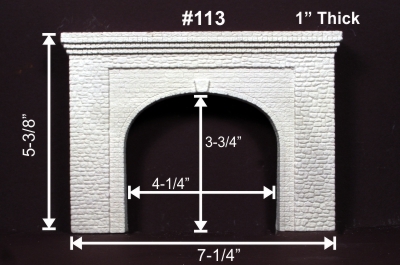 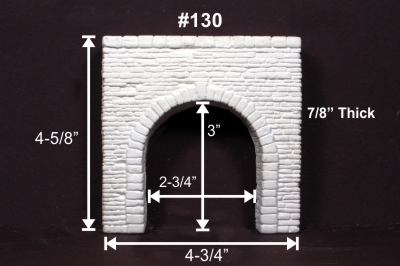 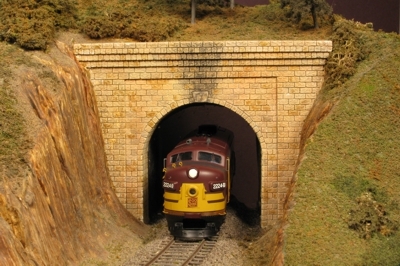 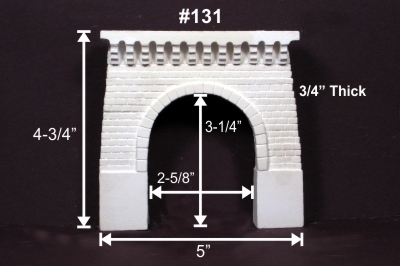 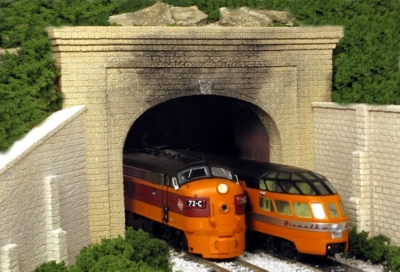 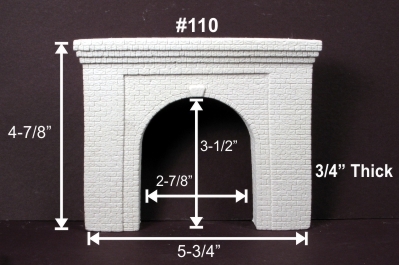 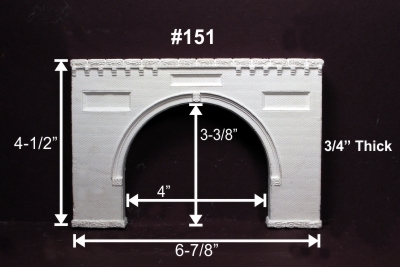 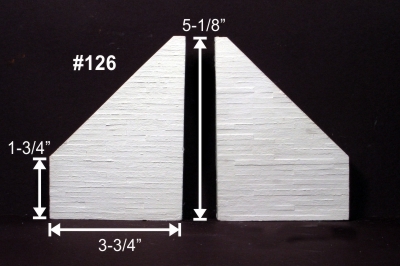 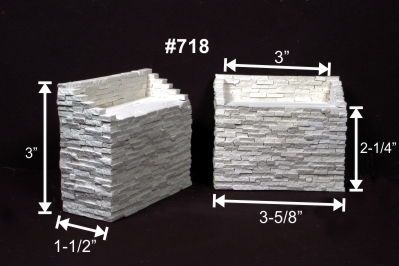 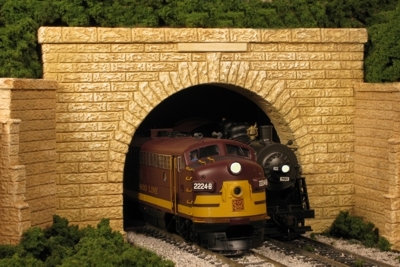 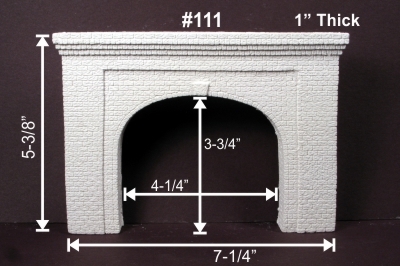 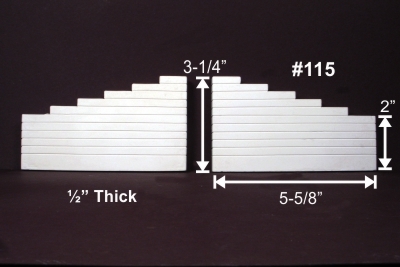 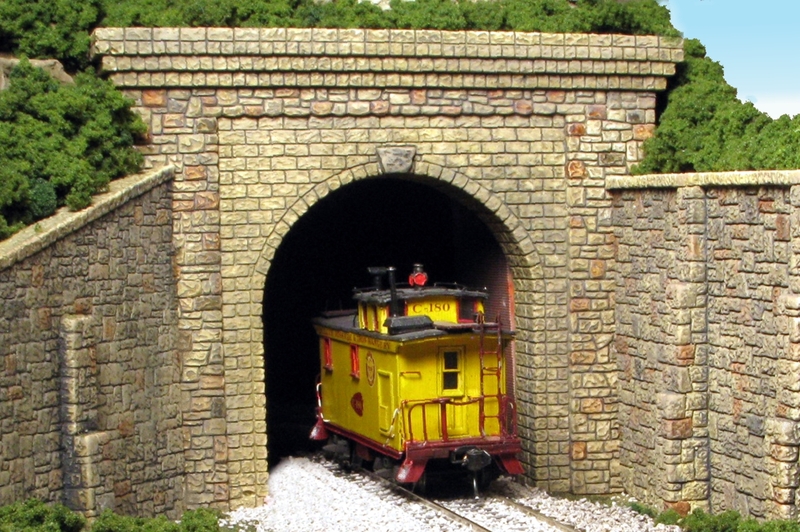 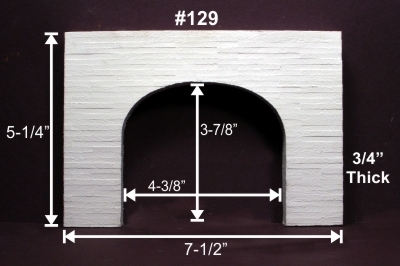 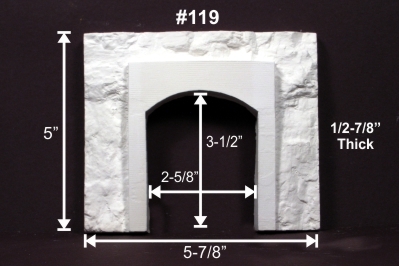 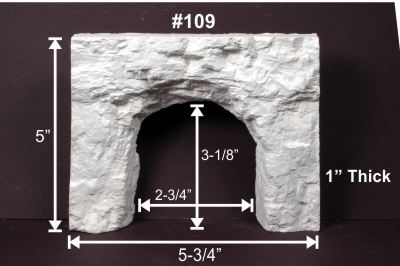 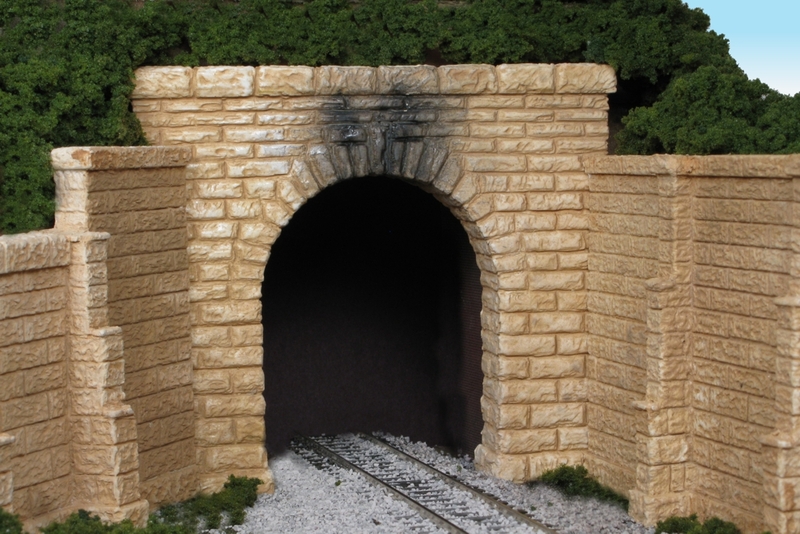 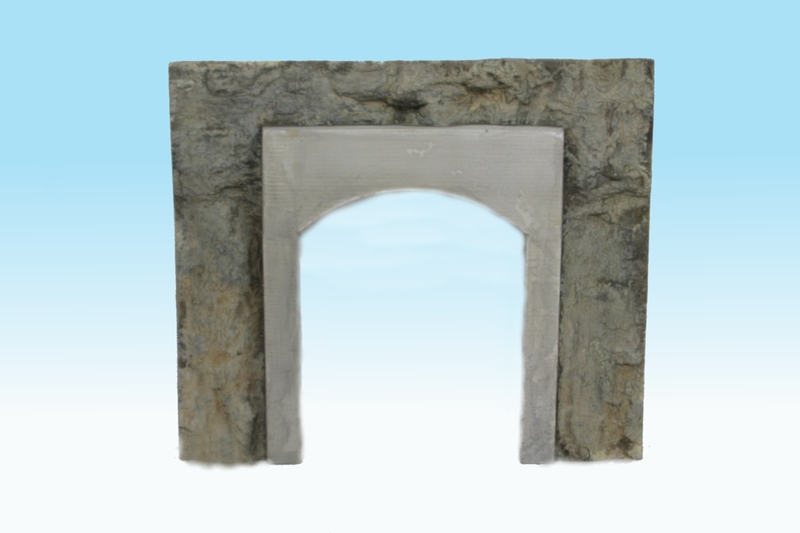 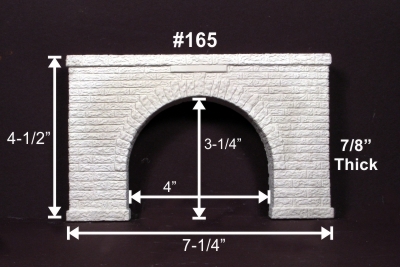 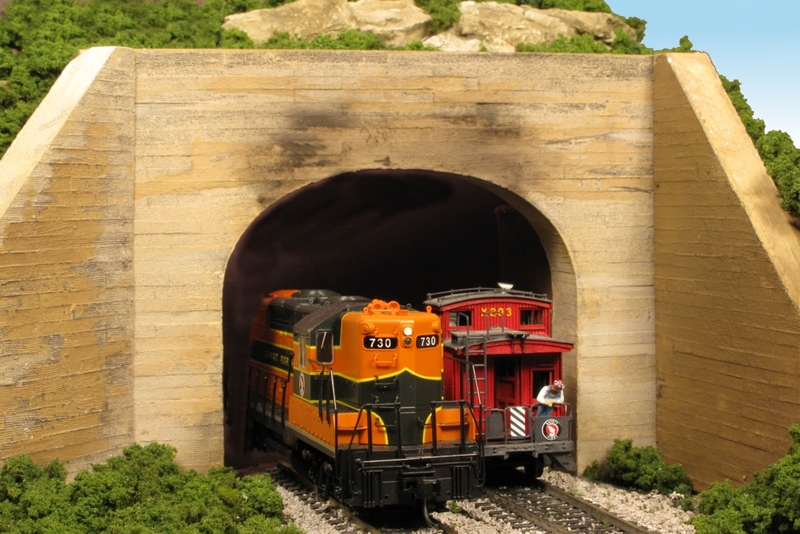 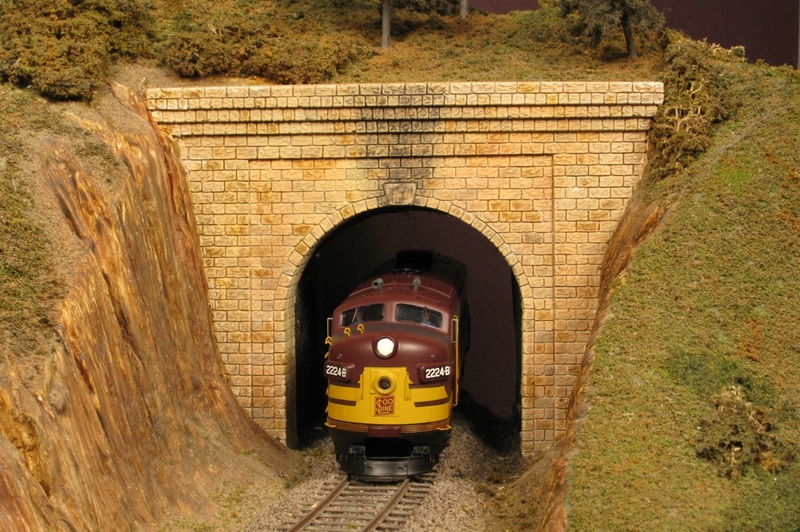 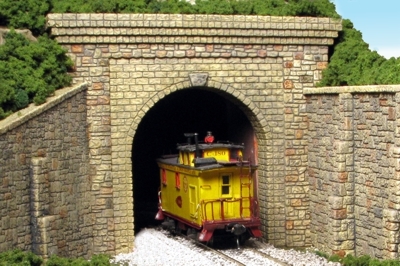 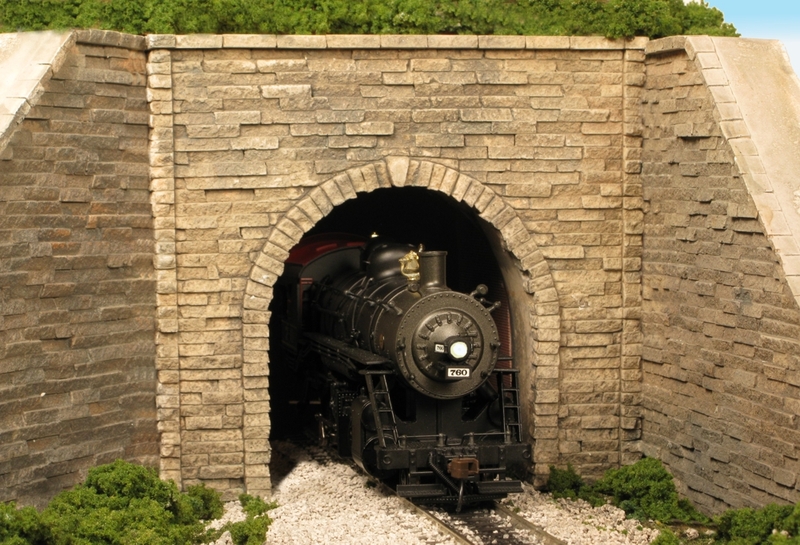 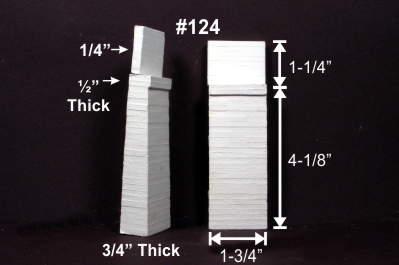 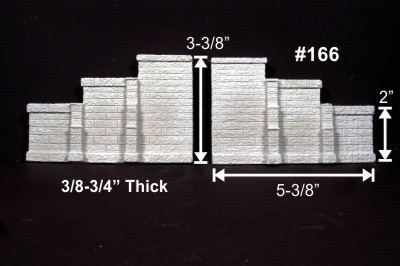 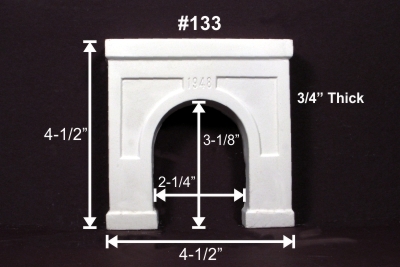 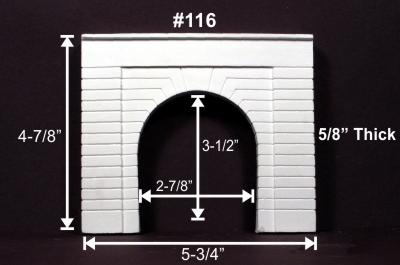 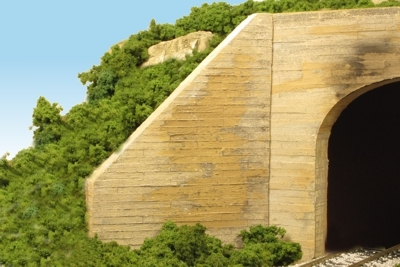 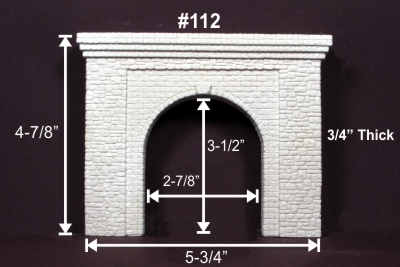 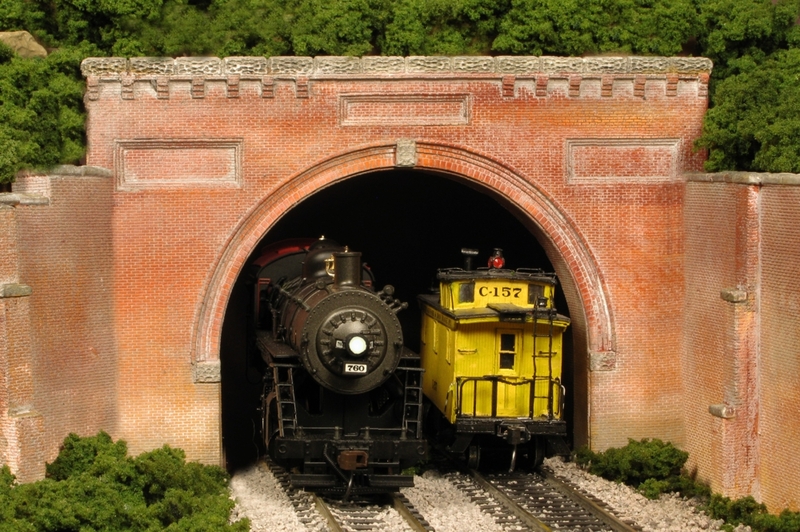 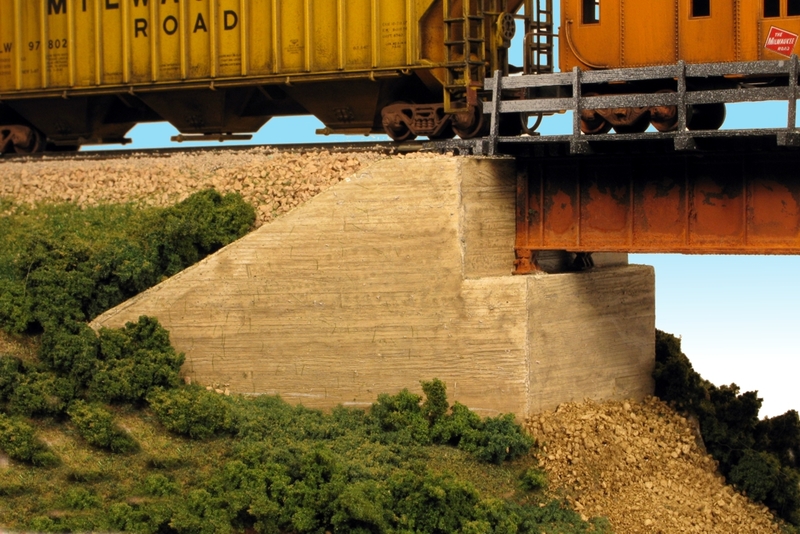 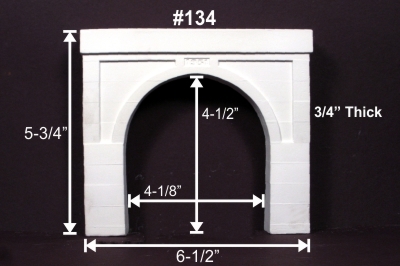 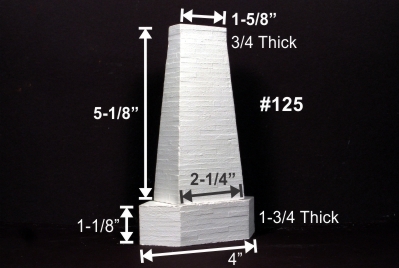 #109 "Blasted Rock Tunnel Portal"
Shipping Costs based on Weight. 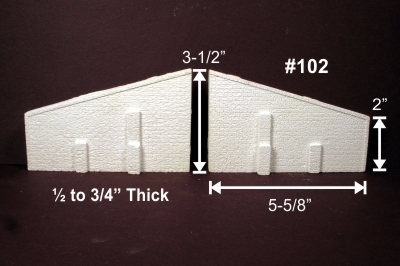 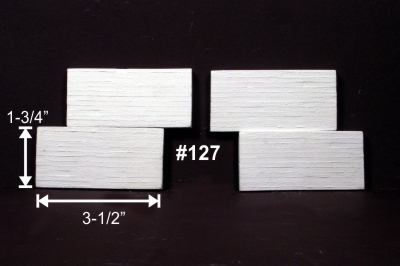 Shown with Wing Wall #102. 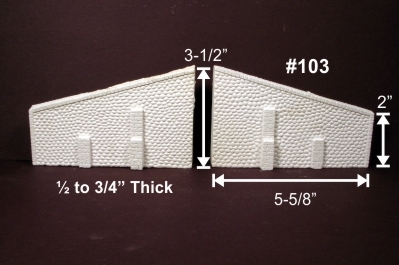 Shown with Wing Wall #103. 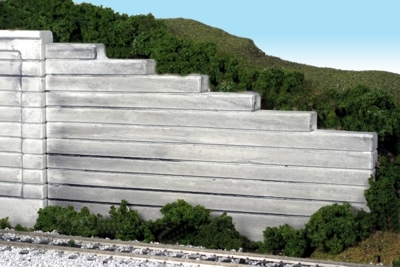 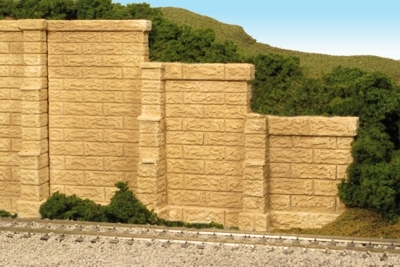 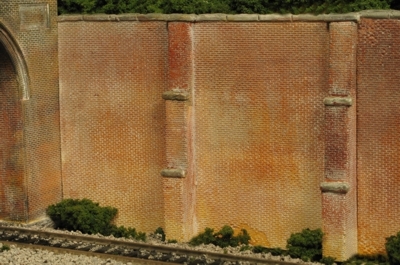 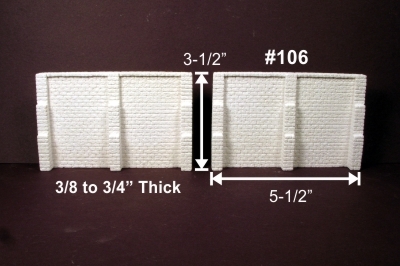 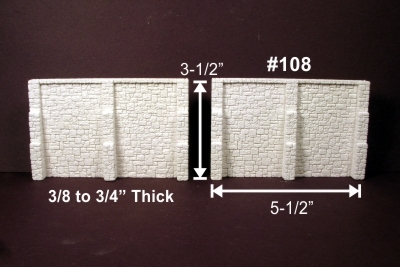 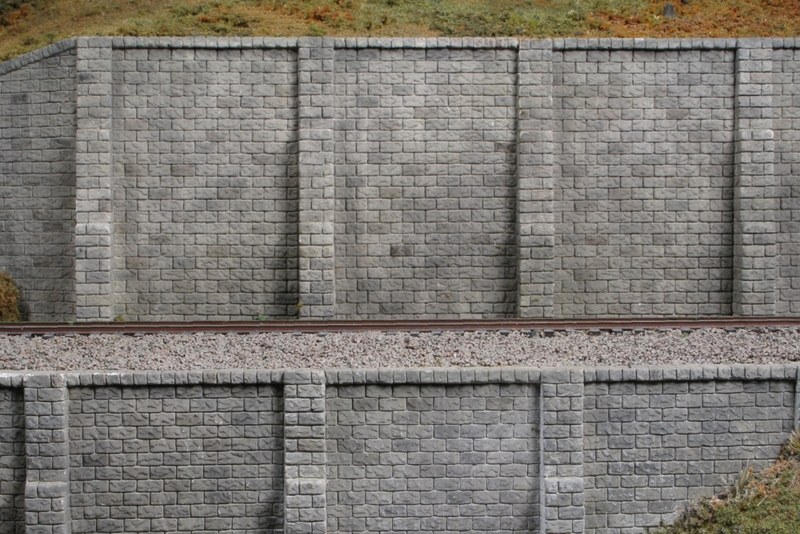 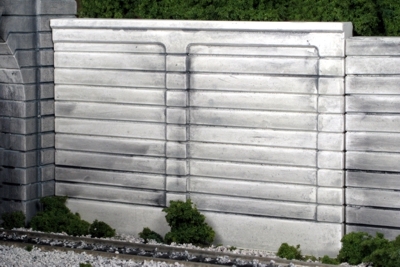 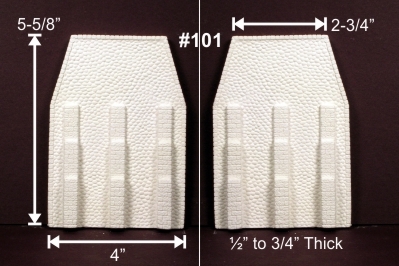 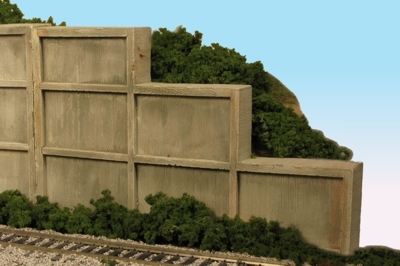 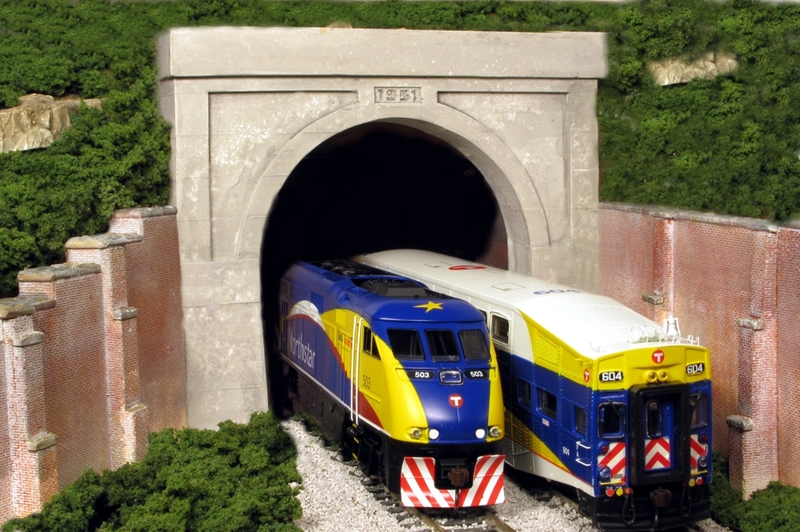 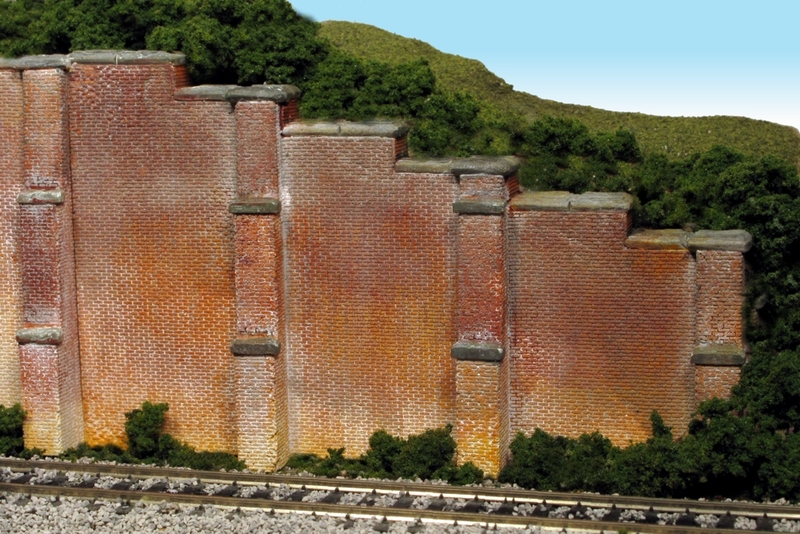 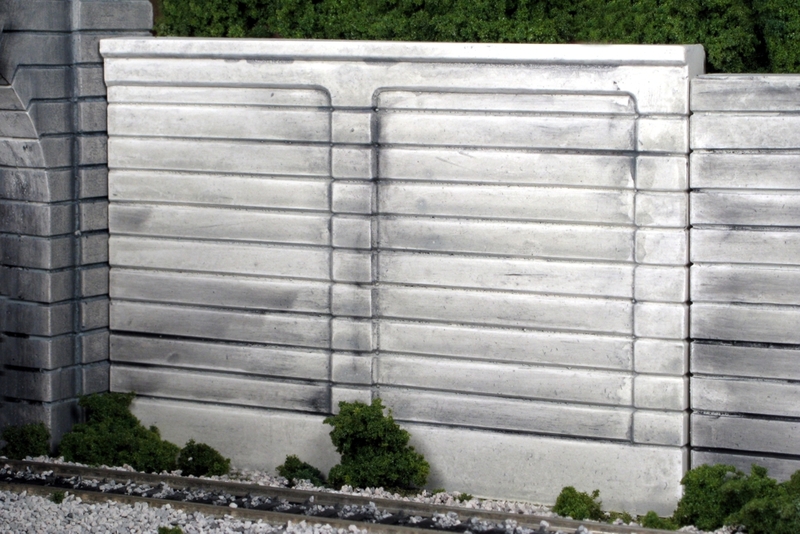 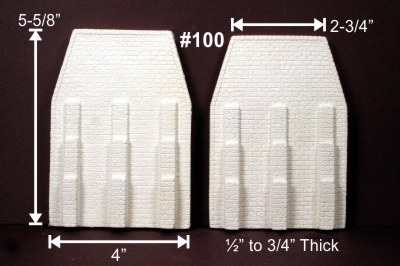 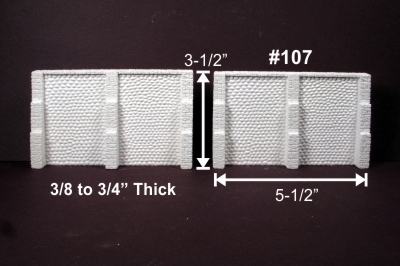 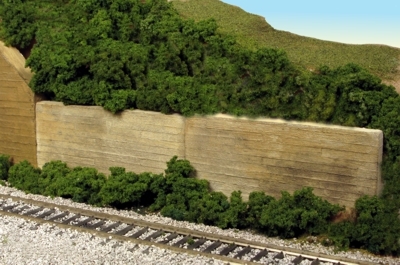 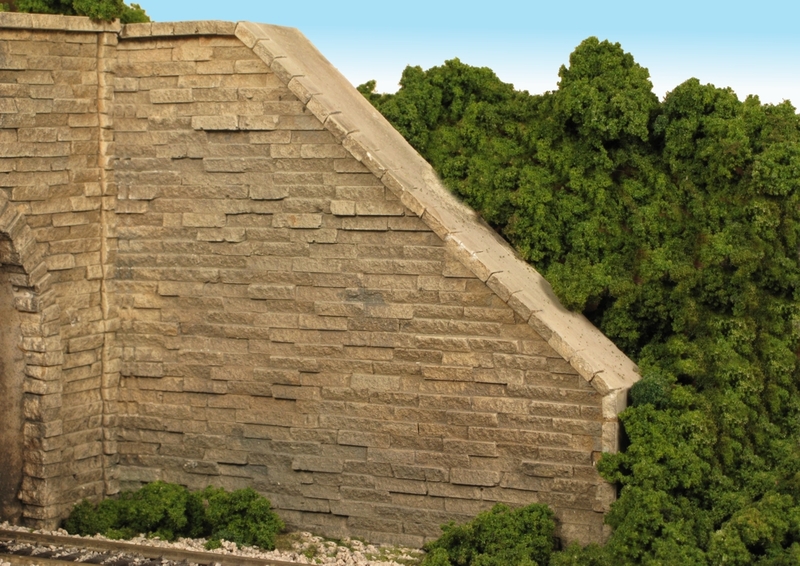 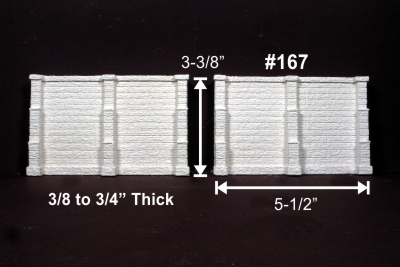 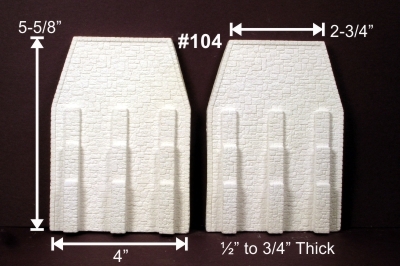 #100 Bridge Abutments, #106 Retaining Wall, #110 Single Tunnel Portal, and #111 Double Tunnel Portal. 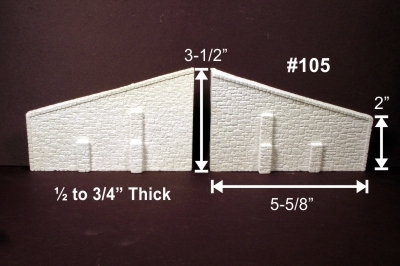 Shown with Wing Wall #105. 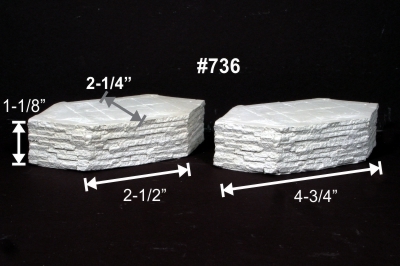 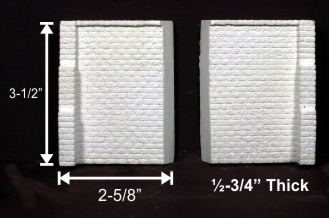 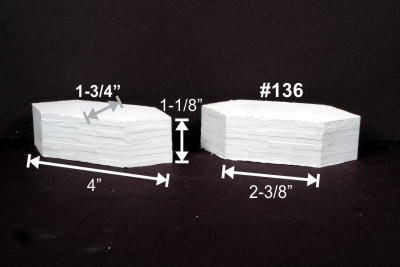 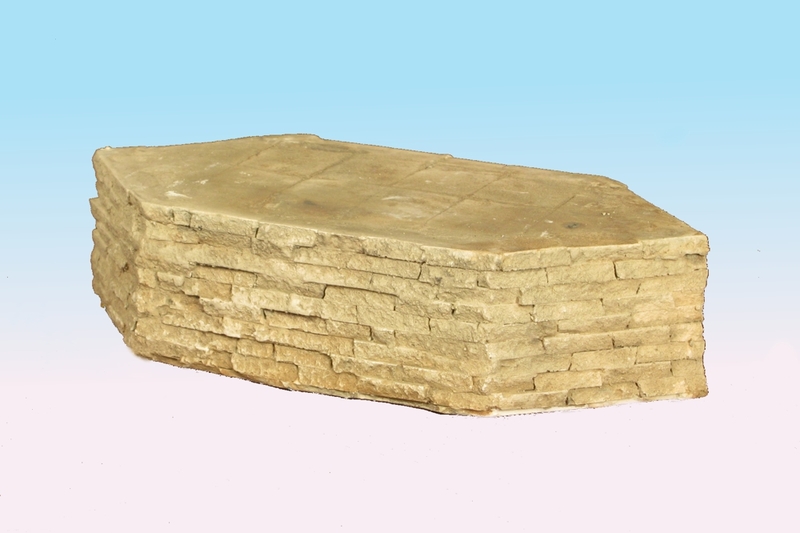 #109 Shown mixed into various plaster rock castings. 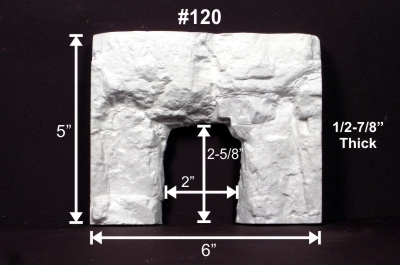 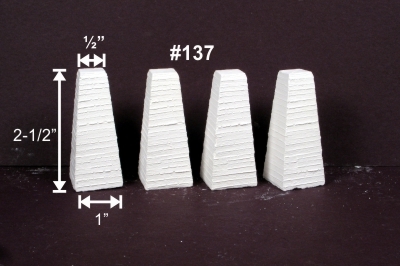 #120 Shown mixed into various plaster rock castings. 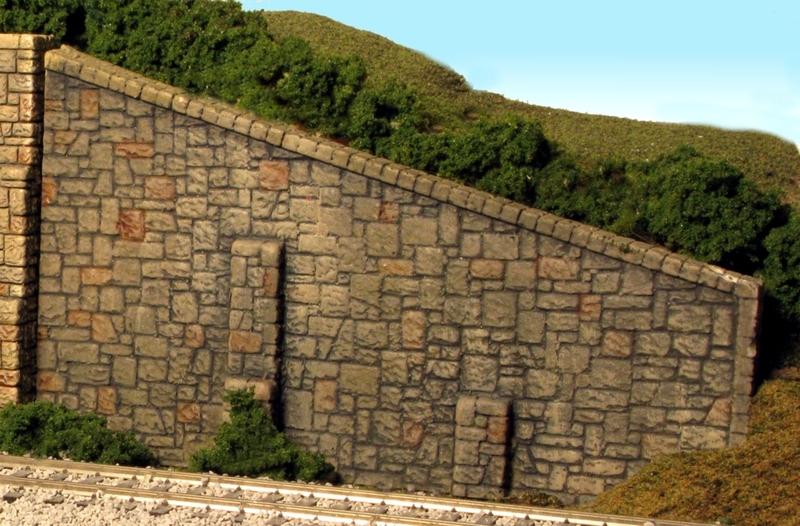 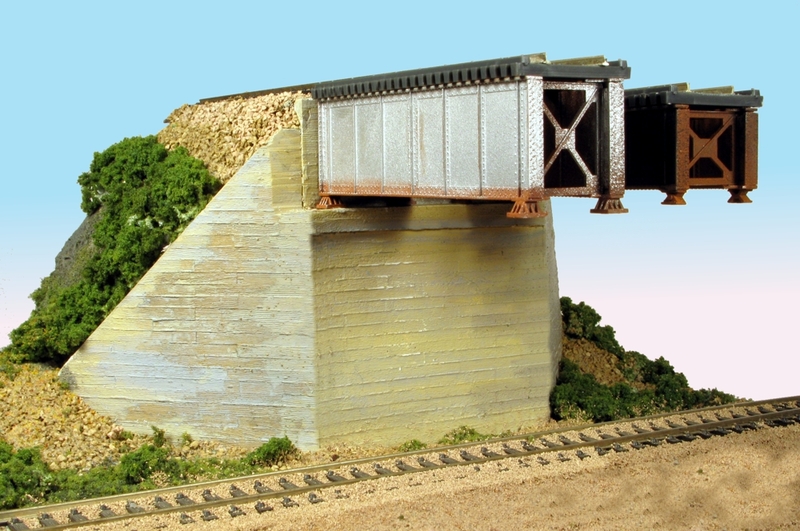 Combine with Wing Walls #126 to complete the bridge abutment. Shown Combine with #126 Wing Walls to complete. 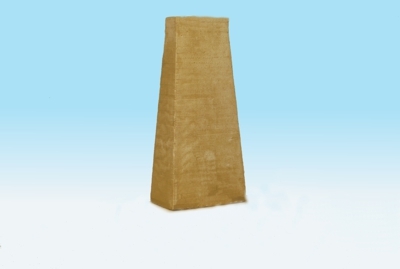 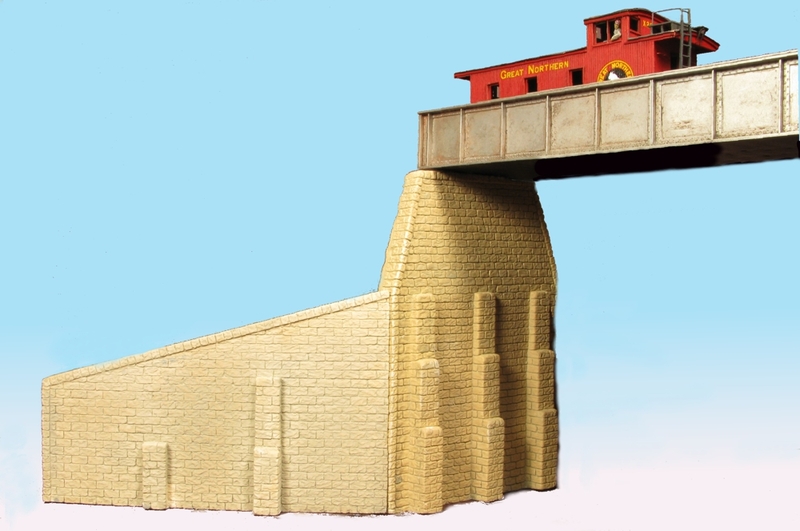 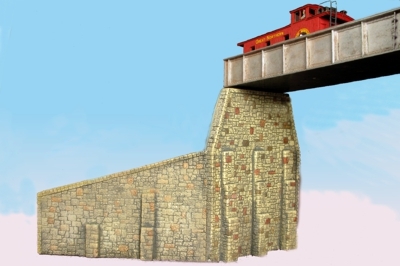 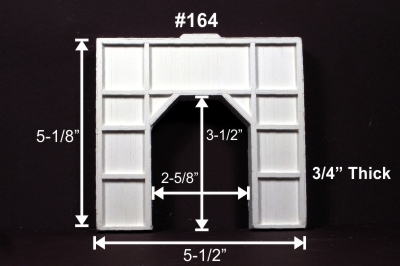 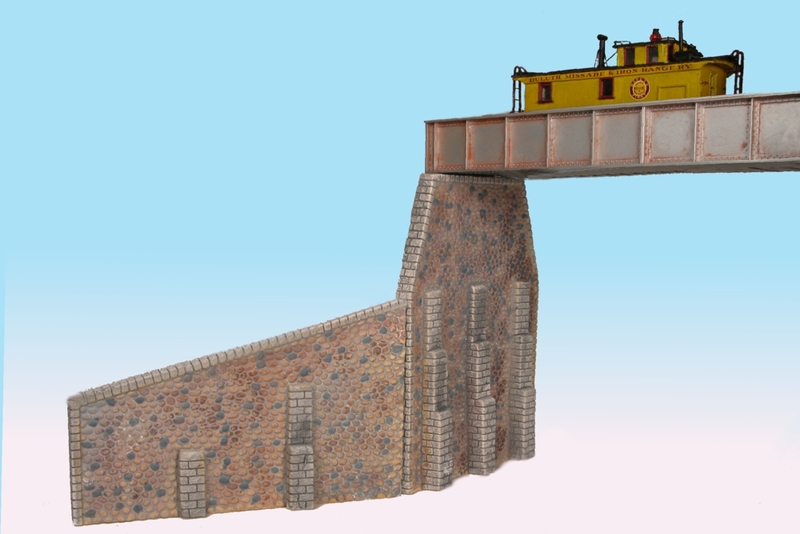 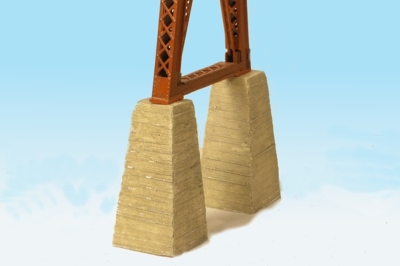 Can be trimmed to fit many different height bridges. 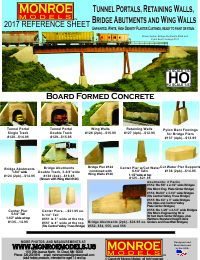 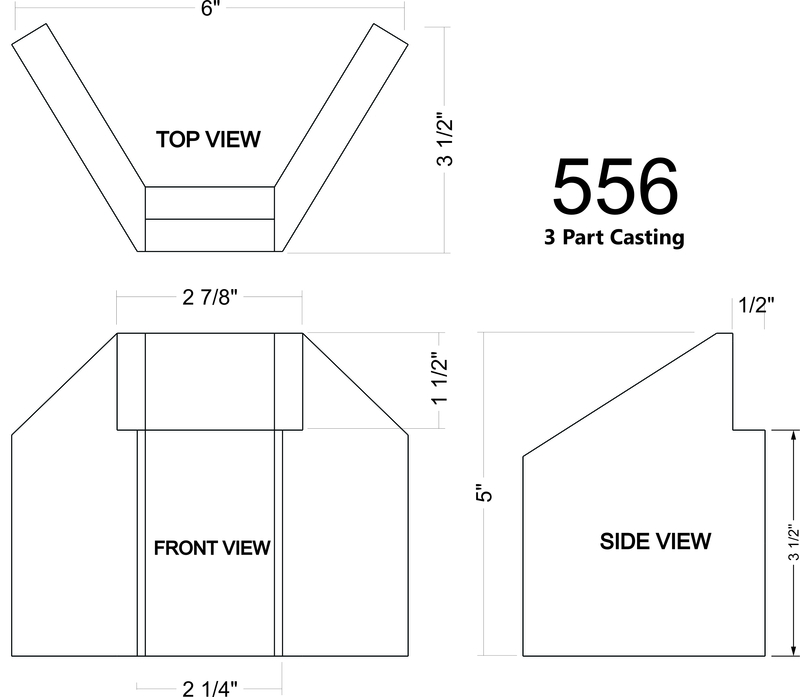 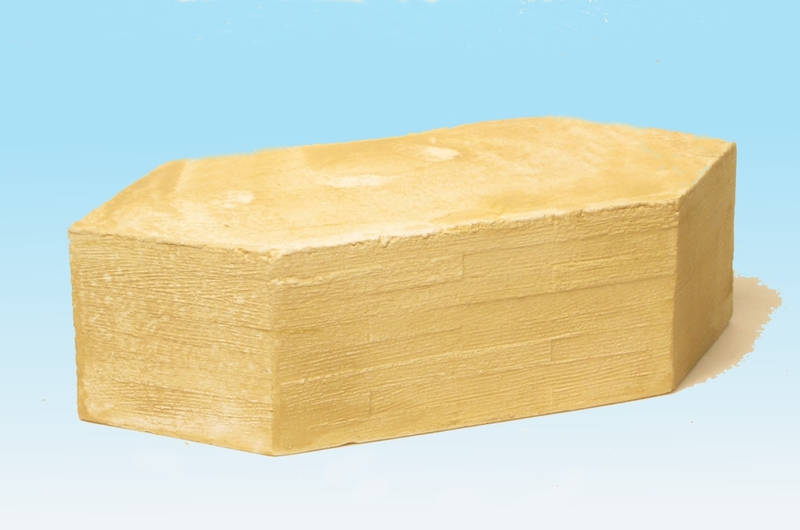 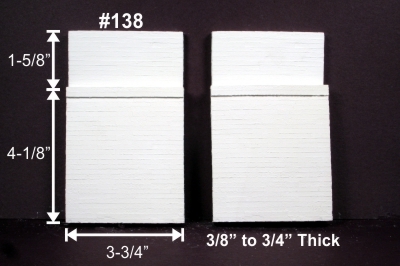 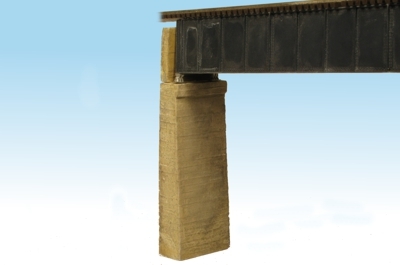 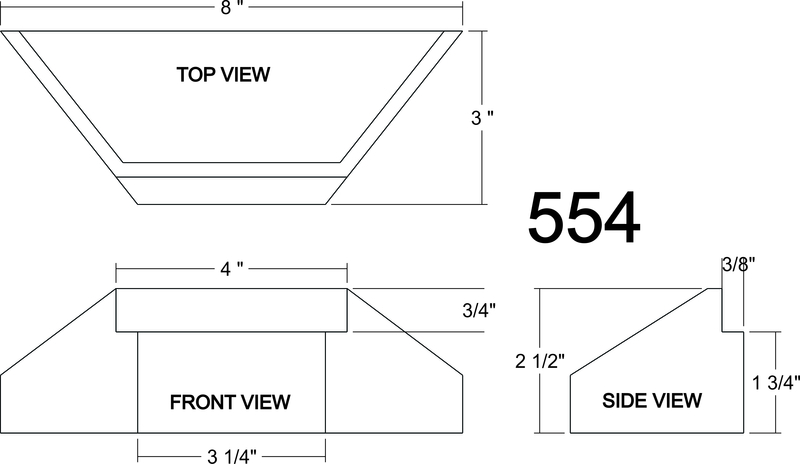 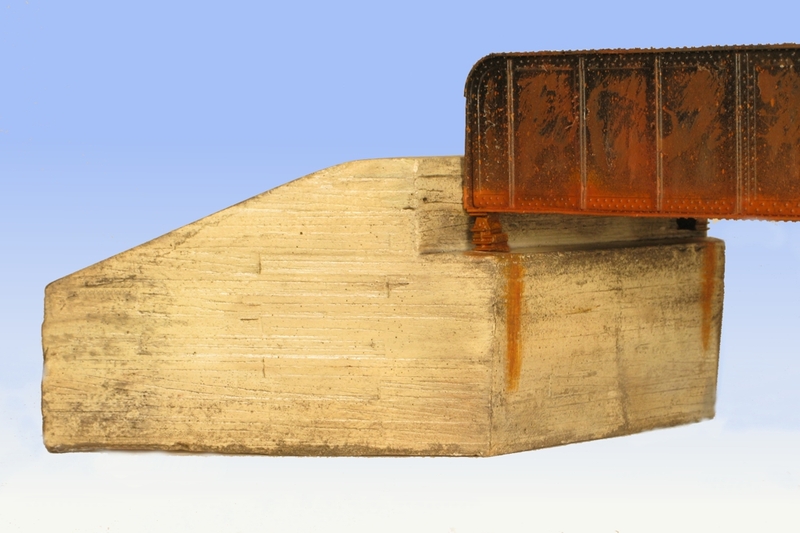 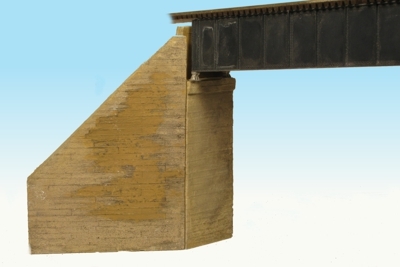 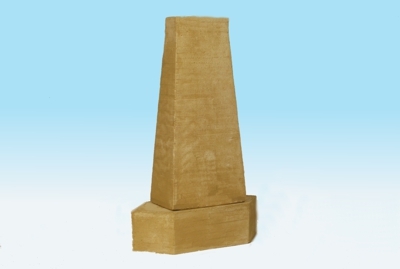 Fits: Atlas, Central Valley, Micro Engineering, and Walthers, Deck and Plate Girder Bridges. . 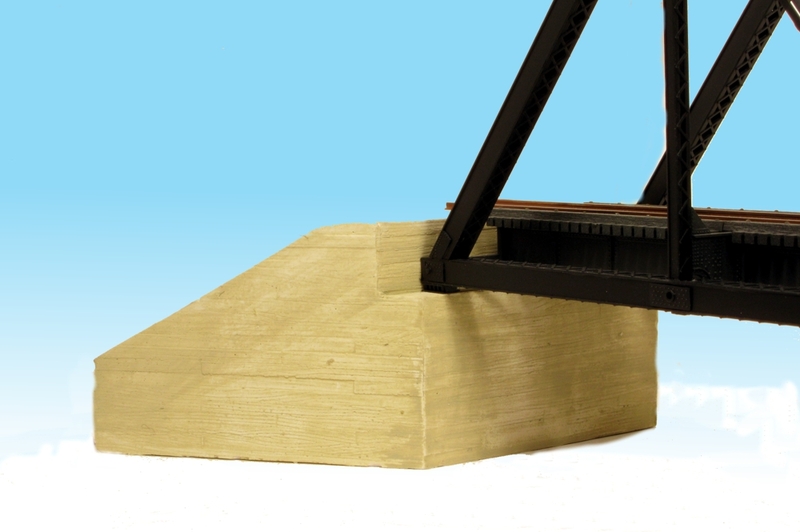 Fits: Micro-Engineering Plate-Girder Bridge....Sold separately. 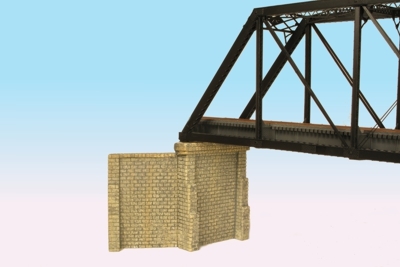 Fits: Central Valley Through-Truss Bridges....Sold separately. Fits: Atlas and Central Valley Plate Girder Bridge.....Sold separately. 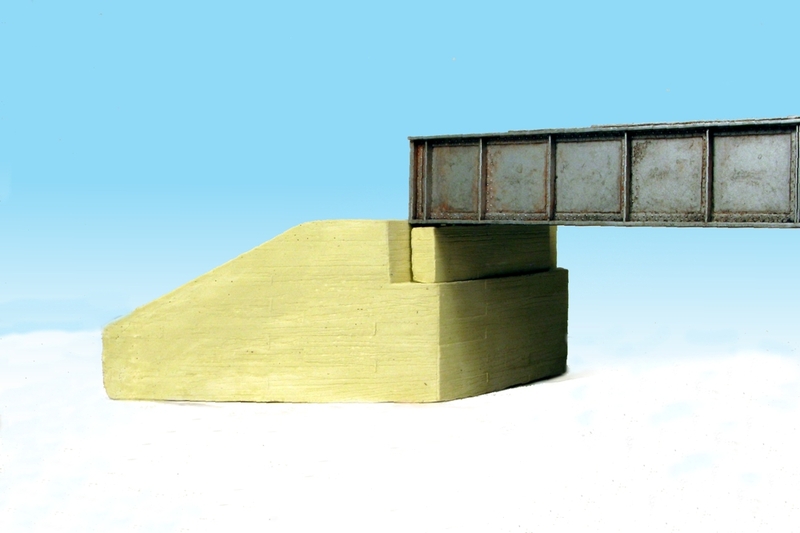 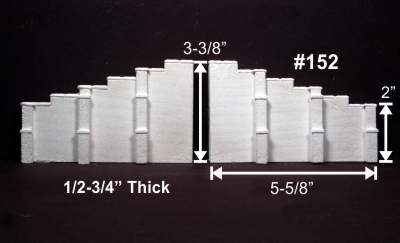 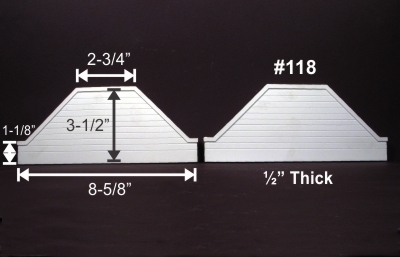 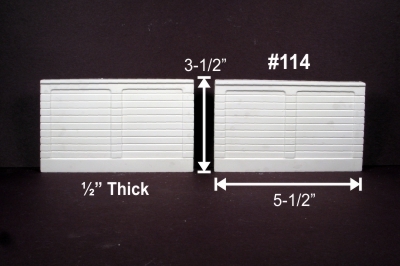 Fits: Micro Engineering 50 or 80 foot Deck Girder Bridges, plus Walthers Standard Height Deck Girders and ExactRail Bridges....Sold separately. 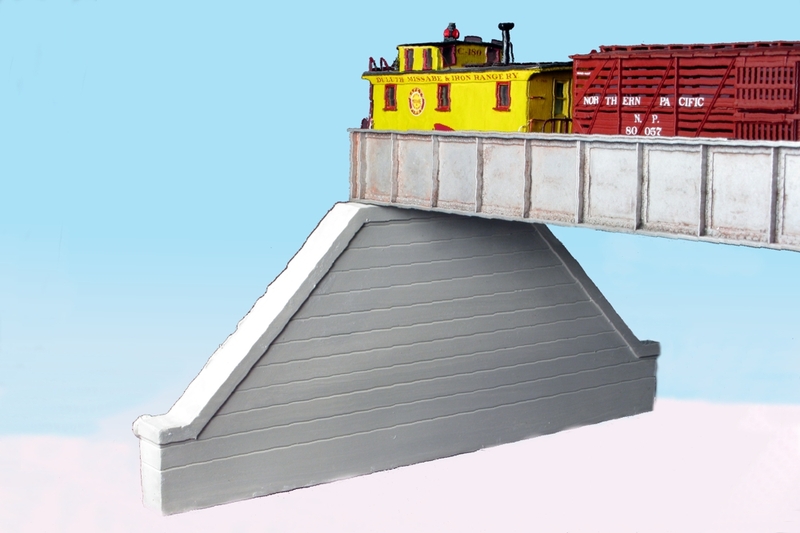 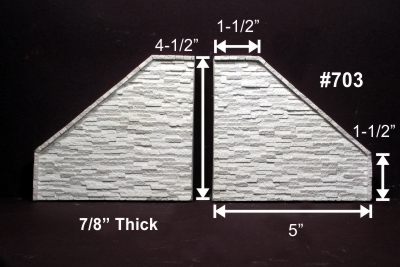 Fits: Central Valley Through-Truss Bridge and others....sold separately. 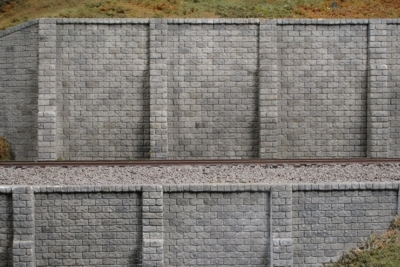 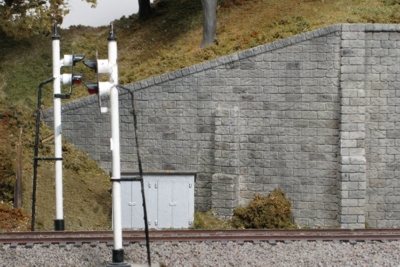 Abutments shown above. 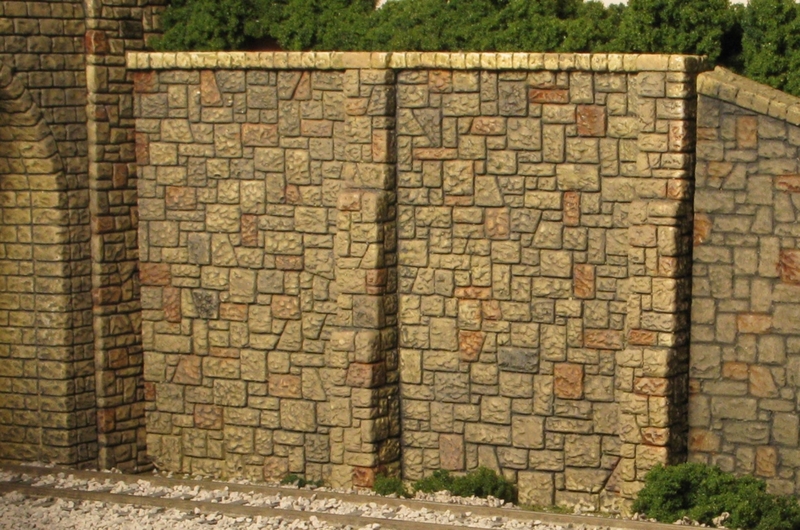 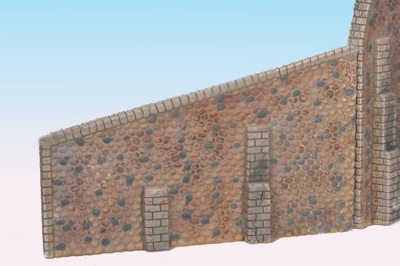 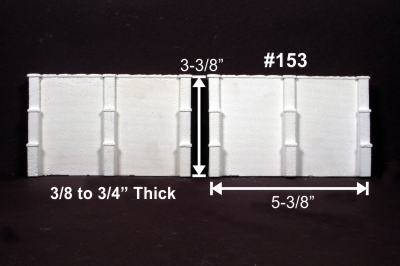 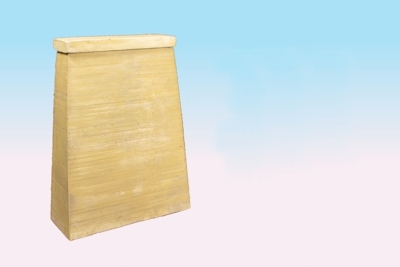 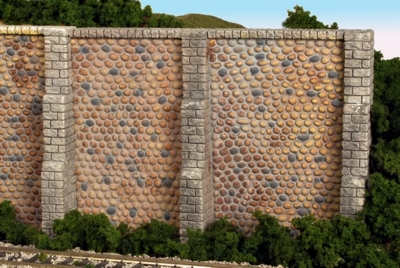 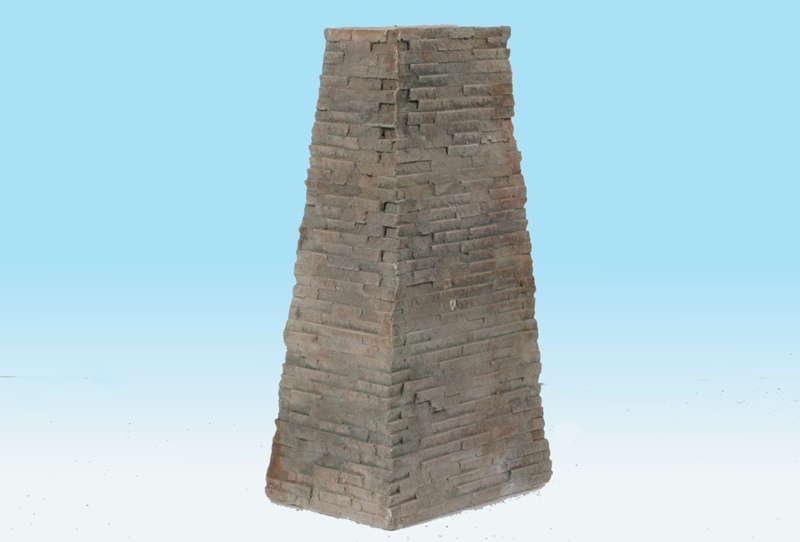 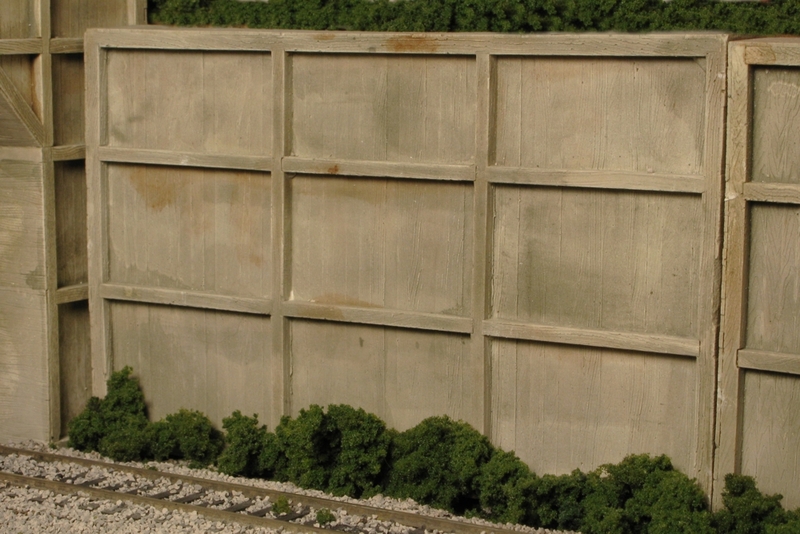 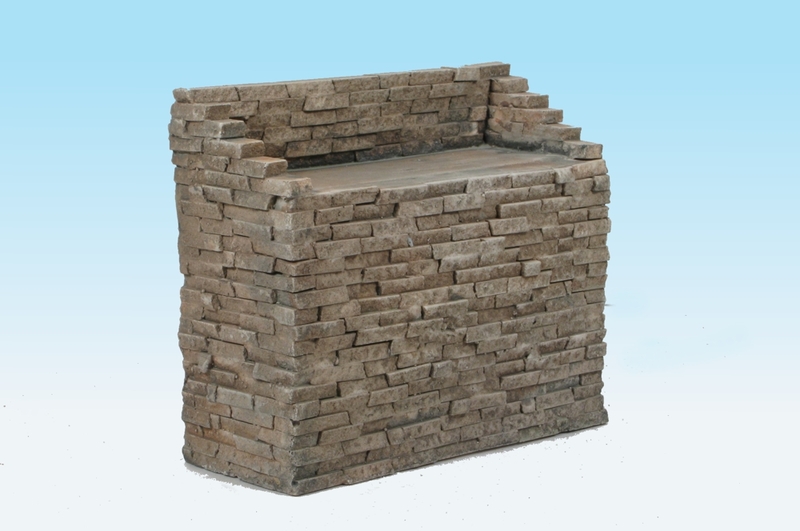 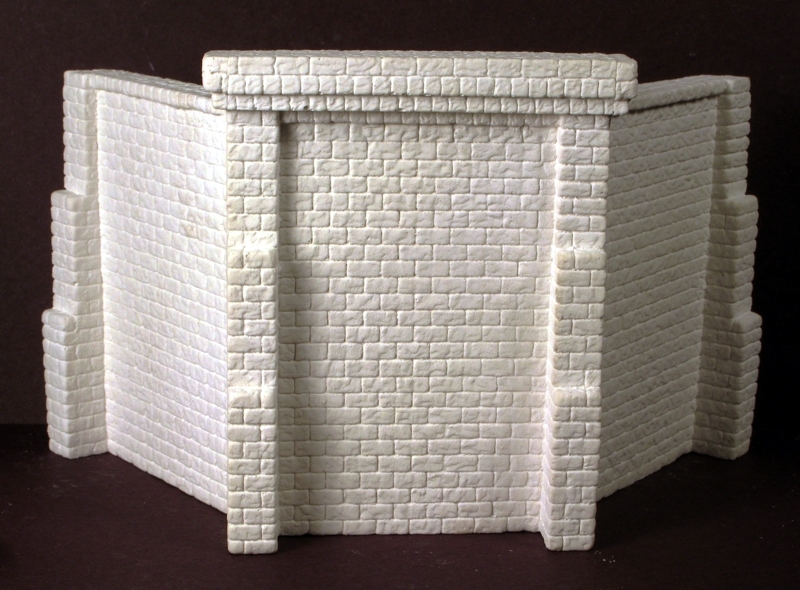 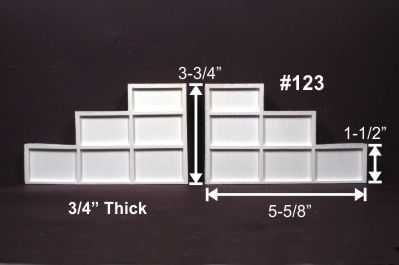 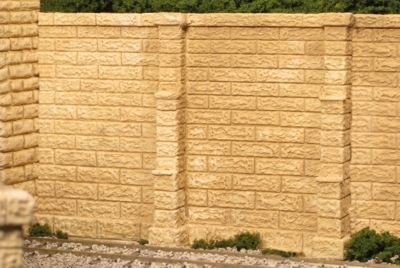 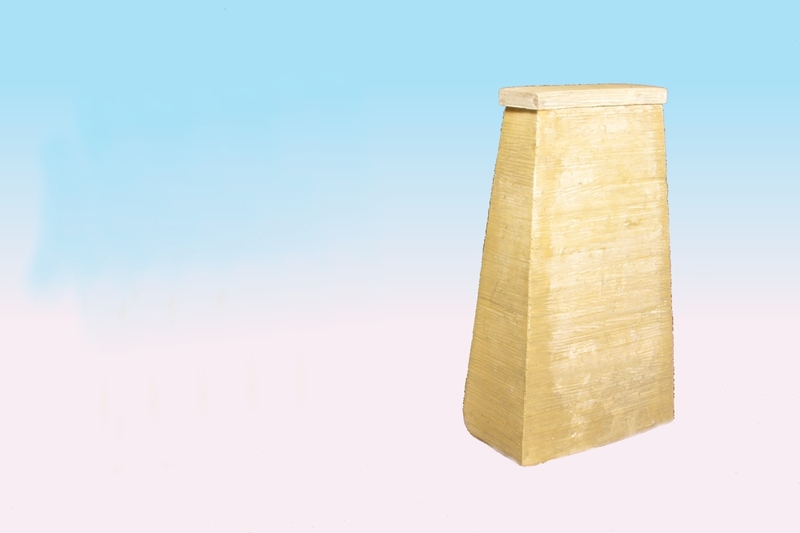 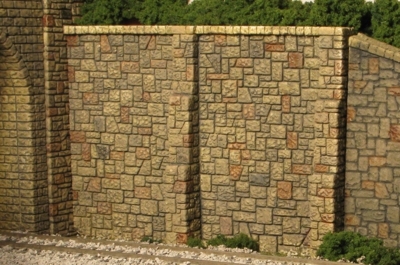 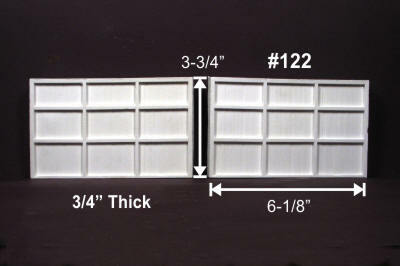 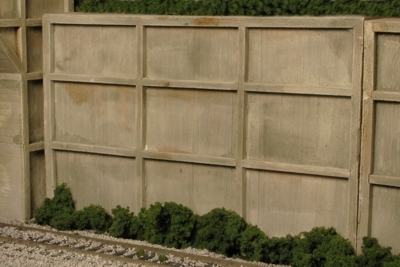 Wing Walls shown below. 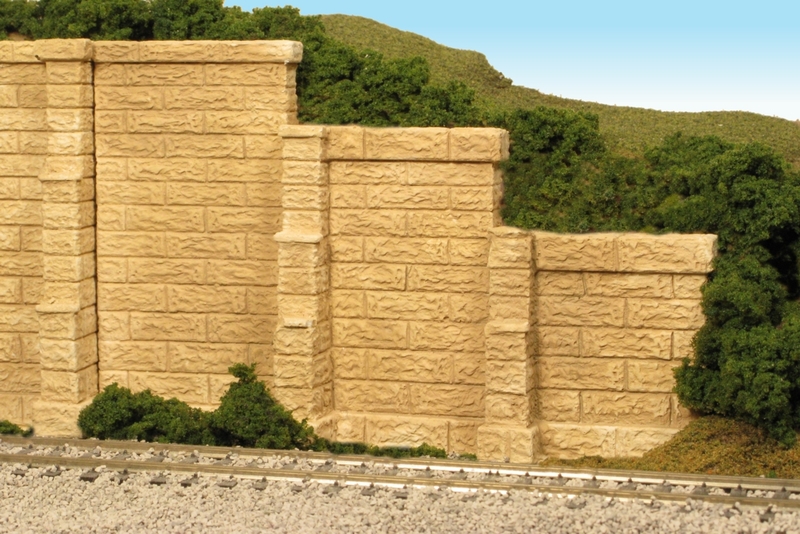 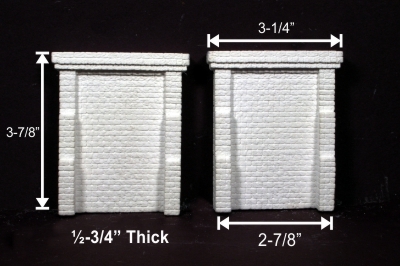 Package includes 2 abutments and 4 wing walls.